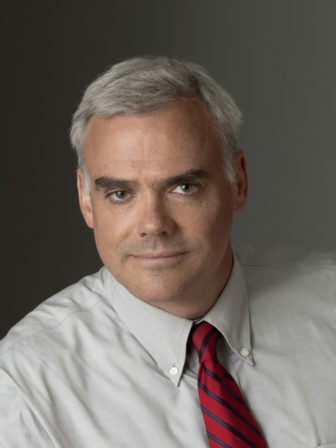 NPR White House Correspondent Scott Horsley is moving to the network’s business desk, NPR announced Thursday. Horsley, who began on the White House beat in 2009, will become NPR’s chief economics correspondent. He previously reported for the business desk from 2001–07. John Ydstie, NPR’s former chief economics correspondent, retired in November. “Scott is poised to take on this position at a time when the global economy has entered an era of dramatic and profound change, much of it driven by policies emanating from America at an unforeseen pace,” Chief Business Editor Pallavi Gogoi said in a note to staff. Horsley started his career at NPR in 1987 as an overnight tape-cutter for Morning Edition. He later worked at member stations KPBS in San Diego and WUSF in Tampa, Fla.